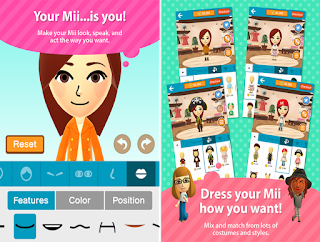 Miitomo is an app from Nintendo that brings out a side of you your friends have never seen before! How? By making a Mii of yourself that's your personal go-between! Ever wonder what fun details make you...YOU? Your Mii will find out by asking you questions about yourself! Want your friends to know all about these little insights into your likes, dislikes, or just what you're thinking lately? Your Mii will go visit your friends' Mii characters and tell them! Then your Mii will ask your friends for fun details about them...and tell YOU everything. Your friends' Mii characters will also visit you when you play! Miitomo is a new way to bring you and your friends together like never before. Would you expect anything less from Nintendo?